Courses include: art, design and media, art history, communications, economics, food studies, history, international business, international relations, Italian language, literature, management, marketing, political science, psychology, religion, security studies, service learning, social sciences, sociology. All programs start with a 2-week language and cultural orientation. Students choose between the Traditional, the Italian Language and Culture Certificate, the Italian Studies Certificate, the International Internship and the Music Programs. This program is designed for students who wish to begin or advance their Italian language skills and/or take courses in art history, cinema, communications, design and media, economics, fashion, food studies, history, international business, international relations, literature, management, marketing, political science, psychology, religion and service learning. Italian language study is optional throughout the semester, but students are required to take a 2-credit Italian Language course during Orientation. They can then choose to take additional Italian Language courses and/or electives taught in English for a total of up to 19 semester credits. A number of Rome Core courses are offered which relate specifically to the history, art, culture, economics and politics of Italy and make special use of the resources available in Rome. Many of these classes also satisfy major or general education requirements. Some courses require a minimum enrollment of 10 students, but the Rome Core courses are guaranteed to run every semester to assist with academic planning and advisor approval. Site visits, interviews, guest lectures and field trips complement classroom teaching and enhance students’ learning experience. 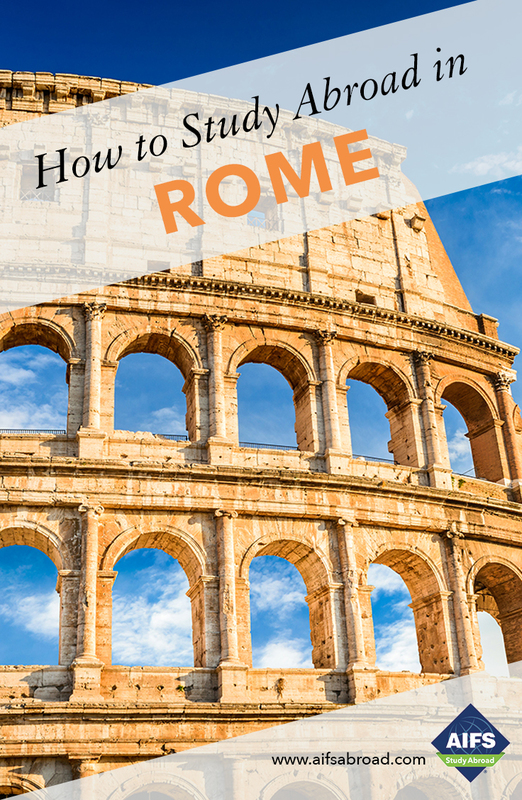 The city of Rome with its wealth of resources, from art and archaeology to religion, business and politics becomes your classroom for an immersive educational experience abroad. This Program is designed for those interested in spending a semester focusing on Italian language and culture. Classroom-based learning is supplemented by practice in an authentic context, cultural immersion and home study, enabling students to quickly increase their proficiency. The Program is available to all students from Beginner to Intermediate I level and a Certificate Award (in addition to a regular official Transcript) is released to those who successfully complete all four courses with a minimum B grade. The Certificate recognizes completion of advanced coursework, proficiency in the Italian language and an understanding of the cultural contexts associated with the language. The Italian Language and Culture Certificate Program is a great way to incorporate foreign language proficiency into an undergraduate curriculum and will make a meaningful addition to your résumé as you begin your career and/or apply for graduate studies in any field. The Certificate in Italian Studies allows students to focus on a systematic and intensive study of Italian culture via a range of discipline areas. Students choose five courses for 15 credits. For music majors who do not want to fall behind during a semester abroad, or for those with an interest in music an exciting Music Program is available, taught in a multicultural environment in conjunction with Saint Louis College of Music, founded in 1976 and authorized to issue Bachelor’s and Master’s degrees by the Italian Ministry of Education, Universities and Research. Students take up to 15 Richmond credits plus possible extra credit from Saint Louis College of Music. Courses are available in bass, drums, guitar, percussion, saxophone, trumpet, trombone and vocals.